Abdul-Kareem, Aleem (2016). Best Practices for Talent Management: Critical Drivers for Organizational Success and Survival. European Journal of Business and Management, 8(25), 98-105. Abraham, Rebecca (2004). Emotional Competence as Antecedent to Performance: A Contingency Framework. Genetic, Social, and General Psychology Monographs, 130(2), 117-145. Doi: https://doi.org/10.3200/MONO.130.2.117-145. Agnello, Paul, Ryan, Rachel, Yusko, Kenneth P. (2015). Implications of modern intelligence research for assessing intelligence in the workplace. Human Resource Management Review, 25(1), 47-55. Al-Azzam, Zeyad F. (2015). The Effects of Perceived Transformational Leadership Style and Emotional Intelligence on Enhancing the Effectiveness of Decision Making in Public Health Sector. International Journal of Advanced Research, 3(12), 1665 –1682. Al-Azzam, Zeyad Faisal, Irtaimeh, Hani Jazza'a & Khaddam, Amineh Abdul Halim (2017). Examining the Mediating Effect of Strategic Agility in the Relationship between Intellectual Capital and Organizational Excellence in Jordan Service Sector. Journal of Business, 6(1), 7-15. Ali, Shaemi, Mohsen, Allameh Seyed & Mahboobeh, Askari (2013). Talent Management Strategies and its Relation with Employees’ Emotional Intelligence. Journal of Management Studies in Development & Evaluation, 23(70), 47-75. Al-Jallad, Tariq A. (2017). Strategies for Business Capacity Expansion in Jordanian Pharmaceutical Companies. Ph.D. Dissertation: Walden University. UK. Al Jarrah, Saleh Ali & Abu-Doleh, Jamal Daoud (2015). The Impact of Applying Talent Management Strategies in Enhancing the Organizational Affiliation among Faculty Members in Jordanian Public Universities. Jordan Journal of Business Administration, 11(2), 283-315. Antonakis, J., Ashkanasy, N. M. & Dasborough, M. T. (2009). Does leadership need emotional intelligence? The Leadership Quarterly, 20(2), 247-261. Anwar, A., Nisar, Q. A., Khan, N. Z. A. & Sana, A. (2014). Talent Management: Strategic Priority of Organizations. International Journal of Innovation and Applied Studies, 9(3), 1148-1154. Arif, A. A. & Uddin, M. R (2016). Talent Management and Organizational Performance: An Empirical Study in Retail Sector in Sylhet City, Bangladesh. Journal of Business and Management (IOSR-JBM), 18(10/IV), 11-18. Doi: http://10.9790/487X-1810041118. Arribas-Galarraga, S., Saies, E., Cecchini, J. A., Arruza, J. & Cos, I. LD. (2017). The relationship between emotional intelligence, self-determined motivation and performance in canoeists. Journal of Human Sport and Exercise, 12(3), 630-639. Doi: https://doi.org/10.14198/jhse.2017.123.07. Asrar-ul-Haq, M., Anwar, S. & Hassan, M. (2017). Impact of emotional intelligence on teacher's performance in higher education institutions of Pakistan. Future Business Journal, 3, 87-97. http://dx.doi.org/10.1016/j.fbj.2017.05.003. Bano, S., Khan, M. A., Rehman, Q. H. U. & Humayoun, A. A. (2010). Schematizing talent management: a core business issue. Far East Journal of Psychology and Business, 2(1), 4–16. Beechler, Schon & Woodward, Ian C. (2009). The global “war for talent”. Journal of International Management, 15, 273–285. Brouwers, Symen A. & Vijver, Fons J.R. van de (2015). Contextualizing intelligence in assessment: The next step. Human Resource Management Review, 25(1), 38-46. 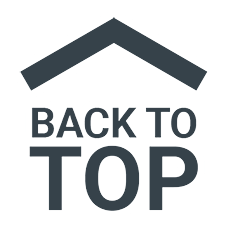 Doi: https://doi.org/10.1016/j.hrmr.2014.09.006. Calik, B. & Birgili, B. (2013). Multiple Intelligence Theory for Gifted Education: Criticisms and Implications. Journal for the Education of the Young Scientist and Giftedness, 1(2), 1-12. Cappelli, Peter & Keller, JR. (2014). Talent Management: Conceptual Approaches and Practical Challenges. Annual Review of Organizational Psychology and Organizational Behaviour, 1, 305-331. Doi: https://doi.org/10.1146/annurev-orgpsych-031413-091314. Chaudhry, Amjad Ali & Usman, Abid (2011). An Investigation of the Relationship between Employees’ Emotional Intelligence and Performance. African Journal of Business Management, 5(9), 3556-3562. Available at SSRN: https://ssrn.com/abstract=2171775. Chopra, P. K. & Kanji, G. K. (2010). Emotional intelligence: a catalyst for inspirational leadership and management excellence. Total Quality Management, 21(10), 971-1004. Clake, R. & Winkler, V. (2006). Change Agenda: Reflections on Talent Management. Chartered Institute for Personnel Development (CIPD), London. Codier E., Kamikawa C., Kooker B. M., Shoultz J. (2009). Emotional intelligence, performance, and retention in clinical staff nurses. Nurs Adm Q., 33(4), 310-316. doi: http://10.1097/NAQ.0b013e3181b9dd5d. Collings, D. G., Scullion, H. & Vaiman, V. (2011). European perspectives on talent management. European Journal of International Management, 5(5), 453–462. Cooke, F. L., Saini, D. S. & Wang, J. (2014). Talent management in China and India: A comparison of management perceptions and human resource practices. Journal of World Business, 49, 225–235. Cooper, R. K. (1997). Applying emotional intelligence in the workplace. Training & Development, 51(12), 31-38. Google Scholar. Daneshfard, K., Rajaei, Z., Bilondi, Z.M. & Banihashemi, S.A. (2016). The Effect of Organizational Intelligence on Talent Management, Using Structural Equations. International Journal of Humanities and Cultural Studies, 3(2), 464-467. Davies, B. & Davies, B. J. (2010). Talent Management in academies. International Journal of Education Management, 24(5), 418-426. Doi: https://doi.org/10.1108/09513541011055983. Deshmukh, G. K. (2012). Talent Management: A Conceptual Framework with Practical Approach. Asian J. Management, 3(1), 48-50. Elegbe, J. A. (2010). Talent Management in the Developing World, Farnham, Survey. Ashgate Publishing Group, Great Britain. Fagan, Joseph & Ployhart, Robert E. (2015). The information processing foundations of human capital resources: Leveraging insights from information processing approaches to intelligence. Human Resource Management Review, 25(1), 4-11. Doi: https://doi.org/10.1016/j.hrmr.2014.09.003. Gallardo-Gallardo, E., Dries, N. & Gonzalez-Cruz, T. (2012). What is the meaning of ‘talent’ in the world of work?. Human Resource Management Review, 23, 290–300. Gallardo-Gallardo, Eva, Nijs, Sanne, Dries, Nicky & Gallo, Pedro (2015). Towards an understanding of talent management as a phenomenon-driven field using bibliometric and content analysis. Human Resource Management Review, 25(3), 264-279. Doi: https://doi.org/10.1016/j.hrmr.2015.04.003. Golparvar, M. & Khaksar, F. (2010). The relationship between emotional intelligence and job performances in a set of industrial factories in Isfahan. Clinical Psychology & Personality, 1(40), 19–34. Gutiérrez-Cobo, M. J., Cabello, R. & Fernández-Berrocal, P. (2017). Performance-based ability emotional intelligence benefits working memory capacity during performance on hot tasks. Scientific Reports 7, Article number: 11700. Doi: http://doi:10.1038/s41598-017-12000-7. Gutiérrez-Cobo M. J., Cabello R. & Fernández-Berrocal P. (2017). The Three Models of Emotional Intelligence and Performance in a Hot and Cool go/no-go Task in Undergraduate Students. Front Behav Neurosci., 22, 11-33. Doi: http://10.3389/fnbeh.2017.00033. eCollection 2017. Hakkak, M., Nazarpoori, A., Mousavi, S. N., & Ghodsi, M. (2015). Investigating the effects of emotional intelligence on social-mental factors of human resource productivity. Journal of Work and Organizational Psychology, 31(3), 129–134. Doi: https://doi.org/10.1016/j.rpto.2015.06.005. Haines, sue (2013). Applying talent management to nursing. Nursing Times, 109(47), 12-15. www.nursingtimes.net. Hair, G., Black, B., Babin, B., Anderson, R. and Tatham, R. (2010). Multivariate Data Analysis. 7th Edition, Pearson, Upper Saddle River, New Jersey. Hanif, Muhammad Imran & Yunfei, Shao (2013). The role of talent management and HR generic strategies for talent retention. African Journal of Business Management, 7(29), 2827-2835. Doi: http://10.5897/AJBM2012.1369. Healy, S. H., El-Atroush, H., Abol-Enein, H. & El-Sayed, N. M. (2013). Emotional intelligence and its relation to nursing performance among nurses at Mansoura University Hospital and Urology and Nephrology Center. The Medical Journal of Cairo University, 81(1), 689–697. Higgs, Malcolm, (2004). A study of the relationship between emotional intelligence and performance in UK call centres. Journal of Managerial Psychology, 19(4), 442-454. Doi: https://doi.org/10.1108/02683940410537972. Hills, A. (2009). Succession planning or smart talent management. Industrial and Commercial Training, 41(1), 3–8. Horváthová, Petra (2011). The Application of Talent Management at Human Resource Management in Organization. 3rd International Conference on Information and Financial Engineering, IPEDR 12, 50-54. Ibidunni, S., Osibanjo, O., Adeniji, A., Salau, O. P., & Falola, H. (2016). Talent Retention and Organizational Performance: A Competitive Positioning in Nigerian Banking Sector. Periodica Polytechnica Social and Management Sciences, 24(1), 1-13, Doi: http://10.3311/PPso.7958. Iles, P. (2008). Talent balancing: Staffing your company for long-term success. Human Resource Development International, 11(2), 215–218. Irtaimeh, Hani J., Al-Azzam, Zeyad F. & Khaddam, Amineh A. (2016). Exploring the Impact of Talent Management Strategies and Service Quality on Beneficiaries Satisfaction in Jordan Healthcare Sector: Provider point of View. International Journal of Management (IJM), 7(7), 23–38. Ingram, Tomasz (2016). Relationships between Talent Management and Organizational Performance: The Role of Climate for Creativity. Entrepreneurial Business and Economics Review, 4(3), 195-205, DOI: http://dx.doi.org/10.15678/EBER.2016.040315. Jorfi, Hassan, Jorfi, Saeid & Moghadam, Sirous Korahi (2010). Impact of Emotional Intelligence on Performance of Employees. Postmodern Openings, 1(4), 63-74. Jyoti, Jeevan & Rani, Roomi (2014). Exploring talent management practices: antecedents and consequences. Int. J. Management Concepts and Philosophy, 8(4), 220-248. Judd, C. M. & Kenny, D. A. (1981). Process Analysis: Estimating mediation in treatment evaluations. Evaluation Review, 5(5), 602-619. Kaur, R. (2013). 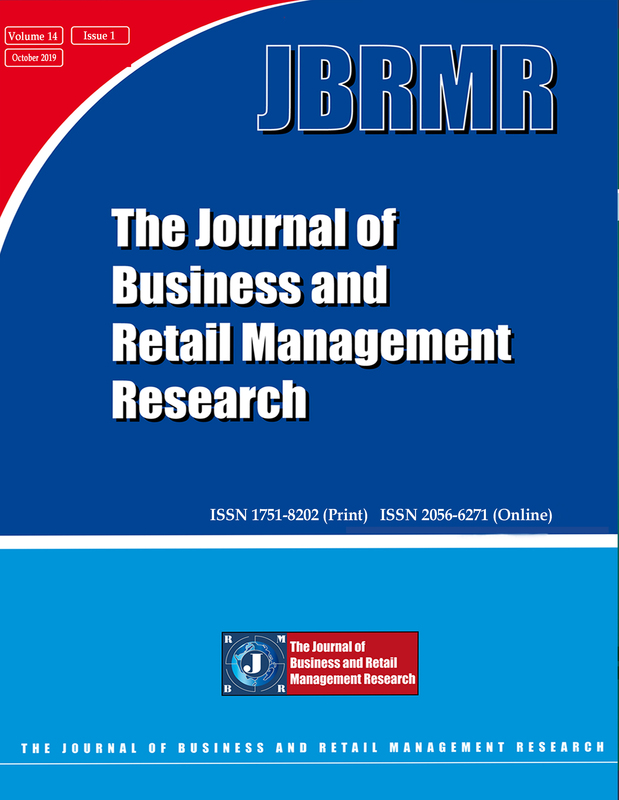 Empirical study of talent management program and its impact on the employee’s retainment and performance in Indian supermarket big bazaar. Human Resource Management Research, 3(3), 61–70. Keating, R. J., Harper, S. C. & Glew, D. J. (2013). Emotional intelligence dilutes the toxins. Industrial Engineer, 45(6), 30. Kesyer, John (2013). Emotional Intelligence Is Key to Our Success. ATD, https://www.td.org/insights/emotional-intelligence-is-key-to-our-success. Retrieved date: 6/12/2017. Latukha, Marina & Selivanovskikh, Louisa (2016). Talent Management Practices in IT Companies from Emerging Markets: A Comparative Analysis of Russia, India, and China. Journal of East-West Business, 22(3), 168-197. Doi: https://doi.org/10.1080/10669868.2016.1179702. Lewis, R. E. & Heckman, R. J. (2006). Talent management: a critical review. Human Resource Management Review, 16(2), 139–154. Lyons, Joseph B. & Schneider, Tamera R. (2005). The influence of emotional intelligence on performance. Personality and Individual Differences, 39(4), 639-703. Doi: https://doi.org/10.1016/j.paid.2005.02.018. MacKinnon, D. P., Warsi, G., & Dwyer, J. H. (1995). A simulation study of mediated effect measures. Multivariate Behavioural Research, 30(1), 41-62. Doi: http://10.1207/s15327906mbr3001_3. MacKinnon, D. P., & Dwyer, J. H. (1993). Estimating mediated effects in prevention studies. Evaluation Review, 17(2), 144-158. Doi: https://doi.org/10.1177/0193841X9301700202. Martin, R. (2014). The big lie of strategic planning. Harvard Business Review, 92(1/2), 3- 8. Retrieved from https://hbr.org. Maya, M. & Thamilselvan, R. (2013). Impact of Talent Management on Employee Performance and Organizational Efficiency in ITSP’S– with Reference to Chennai City. IJER, 10(2), 453-461. Mayer, John D., Roberts, Richard D. & Barsade Sigal G. (2008). Human abilities: emotional intelligence. Annual Review of Psychology, 59, 507-536, https://doi.org/10.1146/annurev.psych.59.103006.093646. Mayor, John D., Salovey, Peter & Caruso, David R. (2004). Emotional Intelligence: Theory, Findings, and Implications. Psychology Inquiry, 15(3), 197-215. Mensah, James Kwame (2015). A “coalesced framework” of talent management and employee performance: For further research and practice. International Journal of Productivity and Performance Management, 64(4), 544-566, https://doi.org/10.1108/IJPPM-07-2014-0100. Michaels, Ed, Handfield-Jones, Helen, & Axelrod, Beth. (2001). The War For Talent. Harvard Business School Press, Boston, MA. Mohamad, Mafuzah & Jais, Juraifa (2016). Emotional Intelligence and Job Performance: A Study Among Malaysian Teachers. 7th International Economics & Business Management Conference, 5th & 6th October 2015. Procedia Economics and Finance, 35, 674 – 682. Nankervis, A. R. (2013). Building for the future? Government and industry responses to the challenges of talent management in China following the GFC. Asia Pacific Business Review, 19(2), 186–199. Njoroge, Caroline Ngonyo & Yazdanifard, Rashad (2014). The Impact of Social and Emotional Intelligence on Employee Motivation in a Multigenerational Workplace. Global Journal of Management and Business Research: A, 14(3/1), 31-36. O'Boyle, Ernest H. Jr., Humphrey, Ronald H., Pollack, Jeffrey M., Hawver, Thomas H. & Story, Paul A. (2011). The relation between emotional intelligence and job performance: A meta-analysis. Journal of Organizational Behavior, 32(5), 788-818. Doi: http://10.1002/job.714. Offermann, Lynn R., Bailey, James R., Vasilopoulos, Nicholas L., Seal, Craig & Sass, Mary (2004). The Relative Contribution of Emotional Competence and Cognitive Ability to Individual and Team Performance. Human Performance, 17(2), 219–243. Doi: https://doi.org/10.1207/s15327043hup1702_5. Palmer, Benjamin R. & Gignac, Gilles (2012). The impact of emotionally intelligent leadership on talent retention, discretionary effort and employment brand. Industrial and Commercial Training, 44(1), 9-18, Doi: https://doi.org/10.1108/00197851211193372. Payambarpour, S. A. & Hooi, L. W. (2015). The impact of talent management and employee engagement on organizational performance. Int. J. Management Practice, 8(4), 311–336. Pekaar, Keri A., Linden, Dimitri van Der, Bakker, Arnold B. & Born, Marise Ph. (2017). Emotional intelligence and job performance: The role of enactment and focus on others’ emotions. Human Performance, 30(2-3), 135-153. Doi: https://doi.org/10.1080/08959285.2017.1332630. Piansoongnern, O., Anurit, P. & Kuiyawattananonta, S. (2011). Talent management in Thai cements companies: a study of strategies and factors influencing employee engagement. African Journal of Business Management, 5(5), 1578–1583. Rahim, Saddam Hussain & Malik, Muhammad Imran (2010). Emotional Intelligence & Organizational Performance: (A Case Study of Banking Sector in Pakistan). International Journal of Business and Management, 5(10), 191-197. Ross, Suzanne (2013). How definitions of talent suppress talent management. Industrial and Commercial Training, 45(3), 166-170, https://doi.org/10.1108/00197851311320586. Sart, Gamze (2014). The impact of Strategic Talent Management Assessments on Improving Innovation-Oriented Career Decisions. Anthropologist, 18(3), 657-665. Scherbaum, Charles A. & Goldstein, Harold W. (2015). Intelligence and the modern world of work. Human Resource Management Review, 25(1), 1-4. Doi: https://doi.org/10.1016/j.hrmr.2014.09.002. Schiemann, W.A. (2014). From talent management to talent optimization. Journal of World Business, 49, 281–288. Shayanipour, Z., Imani, M. N. & Karimzadeh, S. (2017). An Appropriate Model for Talent Management Based on Emotional, Organizational and Cultural Intelligence. Iranian Journal of Educational Sociology, 1(5), 66-77. Silzer, R. & Church, A. H. (2010). Identifying and assessing high-potential talent: current organizational practices. In Silzer, R. & Dowell, B. E. (Eds. ): Strategy-Driven Talent Management: A Leadership Imperative, Jossey-Bass, San Francisco, 213–279. Sobel, M. E. (1982). Asymptotic confidence intervals for indirect effects in structural equation models. In S. Leinhardt (Ed. ), Sociological Methodology 1982 (pp. 290-312). Washington DC: American Sociological Association. Srivastava, Kalpana (2013). Emotional intelligence and organizational effectiveness. Industrial Psychiatry Journal, 22(2), 97–99, doi: http://10.4103/0972-6748.132912. Stahl, Günter K., Björkman, Ingmar, Farndale, Elaine, Morris, Shad S., Paauwe, Jaap, Stiles, Philip, Trevor, Jonathan & Wright, Patrick (2012). Six Principles of Effective Global Talent Management. MIT Sloan Management Review, 53(2), 25-32. Tajuddin, Dewi, Hassan, Roshidi, Nasir, Syed Abdul Jamal M. & Ali, Rosalan (2016). Investment in Human Capital for sustainable growth and Profits: The Need of Talent Management Framework for Malaysian Banks. GE-International Journal of Management Research, 4(2), 1-18. Talarico, J. F., Metro, D. G., Patel, R. M., Carney, P. & Wetmore, A. L. (2008). Emotional intelligence and its correlation to performance as a resident: a preliminary study. Journal of Clinical Anaesthesia, 20(2), 84–89. Tansley, C. (2011). What do we mean by the term ‘talent’ in talent management? Industrial and Commercial Training, 43(5), 236–247. Thunnissen, M., Boselie, P. & Fruytie, B. (2013). A review of talent management: Infancy or adolescence. The International Journal of Human Resource Management, 24(9), 1744–1761. Vahidi, Maryam, Areshtanab, Hossein Namdar & Bostanabad, Mohammad Arshadi (2016). The Relationship between Emotional Intelligence and Perception of Job Performance among Nurses in North West of Iran. Scientifica, 2016. Doi: http://dx.doi.org/10.1155/2016/9547038. Vaiman, V., Scullion H., & Collings, D. (2012). Talent management decision making. Management Decisions, 50(5), 925-941. Doi: https://doi.org/10.1108/00251741211227663. Vaiman, Vlad, Haslberger, Arno & Vance, Charles M. (2015). Recognizing the important role of self-initiated expatriates in effective global talent management. Human Resource Management Review, 25(3), 280-286. Doi: https://doi.org/10.1016/j.hrmr.2015.04.004. Valverde, M., Scullion, H. & Ryan, G. (2013). Talent management in Spanish medium-sized organizations. The International Journal of Human Resource Management, 24(9), 1832–1852. Vaiman, V. & Collings, D. G. (2013). Talent management: advancing the field. The International Journal of Human Resource Management, 24(9), 1737–1743. Wong C. S. & Law K. S. (2004). The effects of leader and follower, Emotional intelligence performance and attitude: An explanatory study. Leadership Quarterly, 13(3), 243–274.